When it comes to touring the Vatican City, the best is saved until last: the revered Sistine Chapel. A tour de force of art and architecture by the most famous Renaissance artists, it will dazzle you. Here’s a list of highlights. The Sistine Chapel is Michelangelo’s masterpiece. Its ceiling is divided into nine scenes from the Book of Genesis, depicting the creation of the world from light to dark, sun to moon, Adam to Eve. 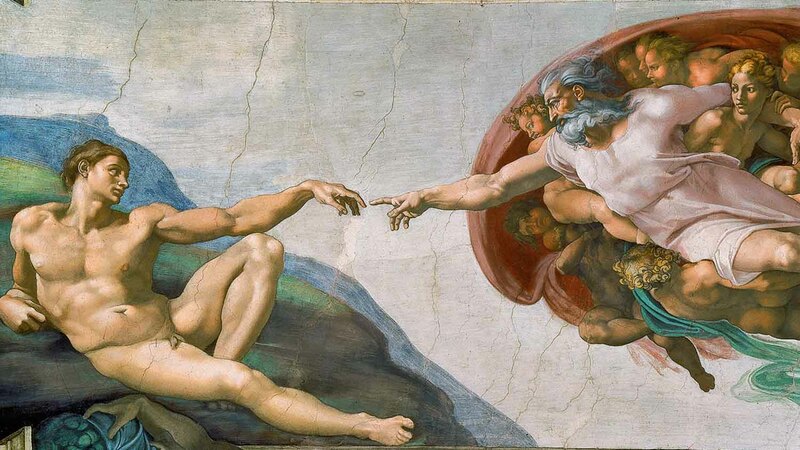 One of the most famous artworks of all time, the centerpiece of the ceiling is a fresco painting depicting God bringing Adam to life with his fingertips. Michelangelo’s fresco depicting the Last Judgment can be seen above the altar. Interestingly, he started working on it 25 years after the ceiling, and it took four years to complete. See scenes from Moses’s life, including his journey through Egypt, portrayed by the Renaissance greats: Botticelli, Perugino and Rosselli. The wall to the right of the altar shows scenes from Jesus’s life according to the great Renaissance painters. Why Is the Sistine Chapel Important? Starting in 1508, Michelangelo spent lonely years painting the chapel's ceiling and altar, transforming these walls into one of the great masterpieces. In the words of Goethe, "If you haven't seen the Sistine Chapel, it's impossible to have any idea of what one man is capable of doing." The walls will come to life as you step in! Don't wear shorts, short skirts, or sleeveless shirts without bringing a scarf or covering, as you will not be allowed in. Taking photographs is strictly prohibited in the chapel. 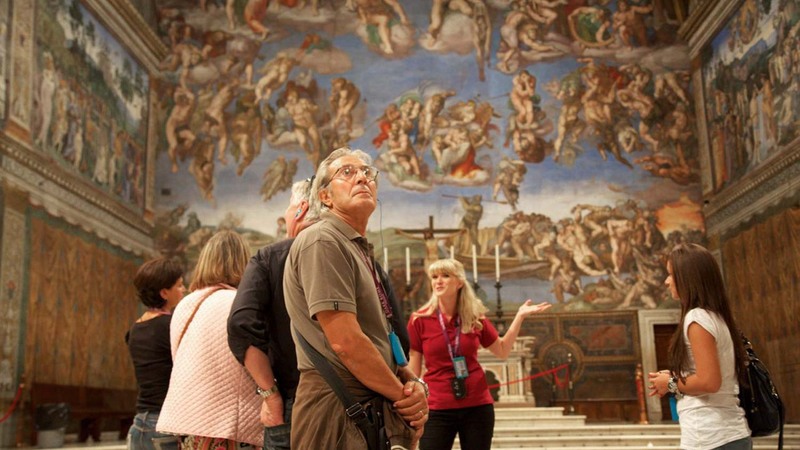 Can You Visit the Sistine Chapel on Its Own? 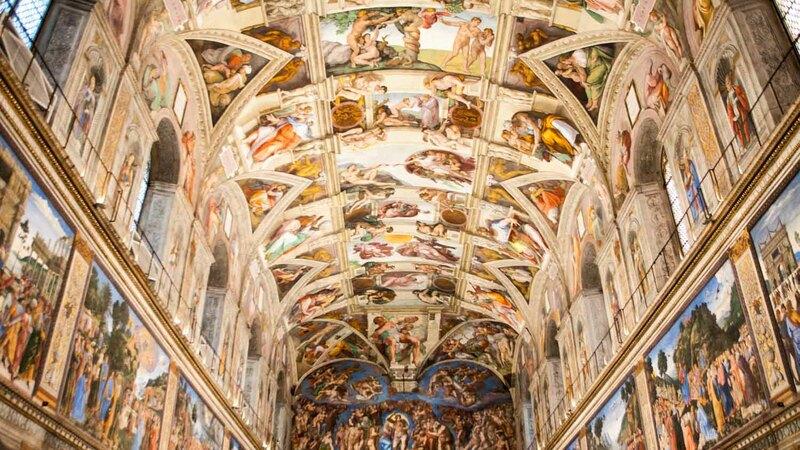 Located in Vatican City, the Sistine Chapel is part of the Vatican Museums, so can only be entered through the Museum. Admission is included in the purchase of a ticket to the Vatican Museum. Beware of anyone trying to sell you just for the Sistine Chapel, it’s a scam. Over 4.5 million visitors come to the Sistine Chapel per year, so it’s difficult to completely avoid a crowd. During the Pope’s address on Wednesday mornings it’s a bit quieter, as at lunchtimes. It’s a good idea to buy tickets online in advance, and a small guided group tour is a great way to skip the line. The Sistine Chapel is closed on Sundays and Catholic holidays. Opening hours can be erratic, so check online to avoid disappointment. If you want to learn more about the amazing pieces of art, sure! 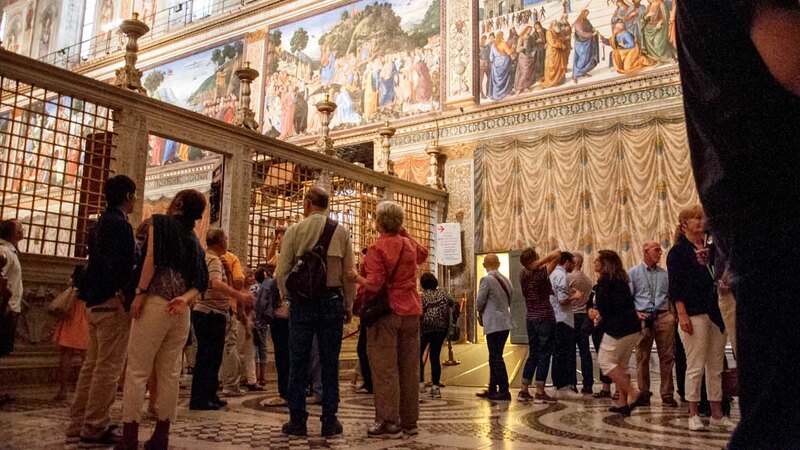 There are tickets for small group tours, as well as a chance to make the Sistine Chapel part of your Rome City Pass. The Vatican City is located inside of Rome. Bus 49 will get you there. Alternatively, take the red metro line to Cipro station. Beware of pickpockets, especially on crowded public transport. Hold onto your bags, and keep valuables out of sight. 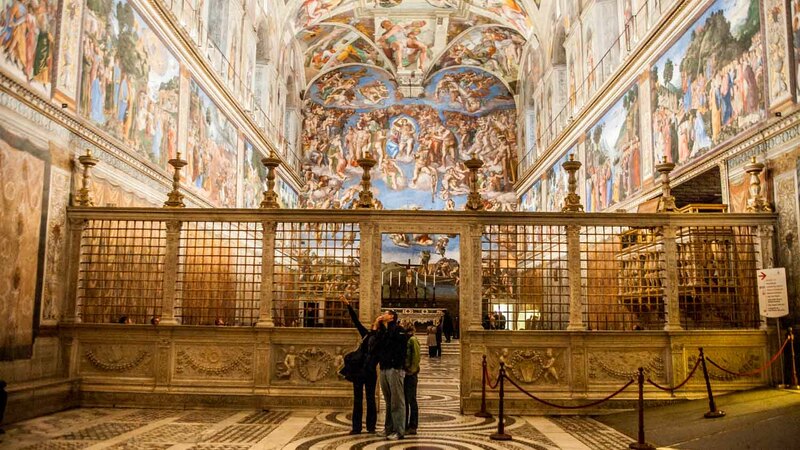 Be sure to bring a cardigan or other long-sleeved garment to cover up your arms when entering the Sistine Chapel. Great expiriance - the order is easy and email confirmation on time. Great experience - the order is easy and email confirmation with a tickets came on time . Very good guide! Good tour. We got to see it all, and had a great time in the Vatican! Well organized, outlining of the main subjects & disciplined guide. The subject is a priori wonderfull, still with the numerous attendance, the guide could highlight what's most important. ABSOLUTELY WORTH IT ! ALBERTO IS A GREAT GUIDE !